(C)(P) 1998 Sony Music Entertainment Inc. The Complete 1959 Columbia Recordings of Charles Mingus is a vivid portrait of an artist reaching a new plateau of greatness in a year when timeless improvisation abounded. 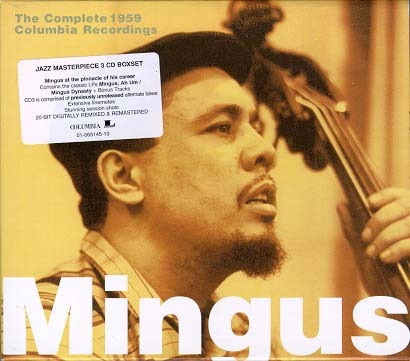 Disc One: "Mingus Ah Um"
All compositions by Charles Mingus unless otherwise noted. Selections marked "*" originally appeared in edited form and are now presented in unedited form for the first time on CD. Selections marked "+" are bonus tracks not included on the original LP.